I was late to the game on Nodame Cantabile — I’d watched the first episode a couple of years ago but somehow never went further in the series than that until the announcement of Nodame Cantabile Finale, whereupon I blazed through the first two seasons in about a week. What really grabbed me about the series was that not only was it a cute romance that I could get behind, but it was also a smart series about two people — Nodame and Chiaki — who were trying their damnedest to find their spots in life, that one thing that they were meant to do. 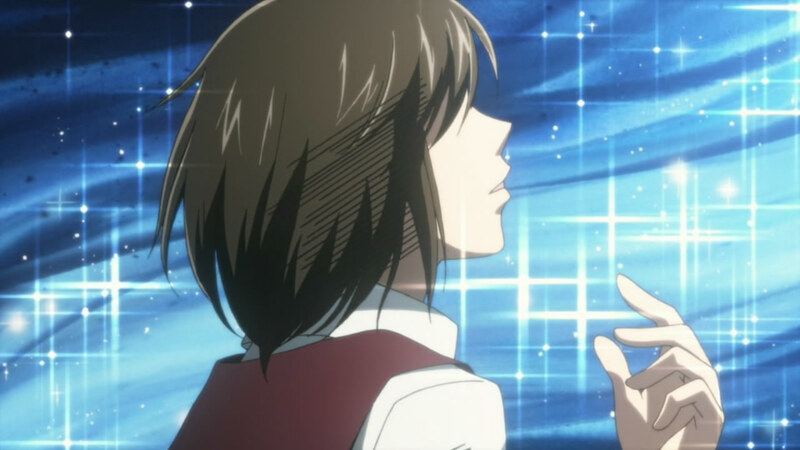 Chiaki is the type to push his talents to the moon; Nodame is happy just screwing around and having fun, even if she does not realize the full extent of her potential. Both frustrate the hell out of each other, and even though they clearly care a great deal about the other, their relationship is stop and go for such a long time because life and their pursuit of it keeps getting in the way. Until the end. They both finally get it. Chiaki can’t stop pushing Nodame to keep at the musical game, but what changes for him, I think, is his definition of success as it pertains to Nodame. For Chiaki, success is playing on the biggest stage possible, becoming the biggest and the best. That’s not for Nodame; she prefers the intimate, the fun, the type of setting where she can do what she wants and spread her wings in her own way. And then they’re finally in sync, able to play that duet they always wanted. And the hug. Never forget the hug. And so ends Nodame Cantabile. Despite the talk before the season of Nodame‘s ending being unsatisfactory, I found the comment of reader Rikku in my ep4 post to be accurate: The second half of the episode (which comprises the events of the final chapter) is not exactly exciting in comparison to the climax of the first half (which is pulled off quite well), but it does fit the tone of the series and the personalities of its leads. I’m perfectly fine with the conclusion of Nodame. It works. This is, hands down, my favorite episode in all three seasons of Nodame Cantabile. It’s episodes like these that remind me — exactly when I need them to do so — why I watch anime. Absolutely stunning from start to finish. I’d launch into an analysis of where Chiaki and Nodame stand in their relationship if I could; however, I’m still on a high from Nodame’s wonderful performance. In my post for the previous episode, I wrote that being in attendance for the Chiaki/Rui concerto must have been an amazing experience. 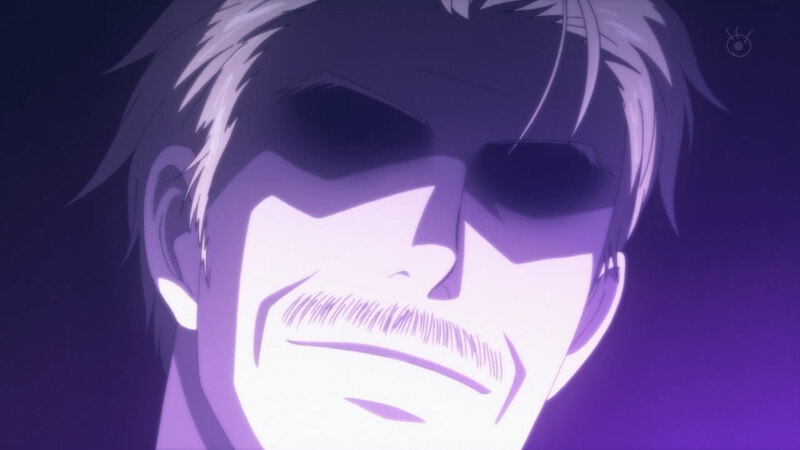 Well, Nodame’s concerto absolutely smokes that one. This is the kind of performance where you go in one way and come out a completely different person. It energizes you, enlightens you, fills you with such joy and lust for life that you couldn’t possibly imagine feeling any better at any point in your life. That’s a moment Nodame, Stresemann, the orchestra and the audience will never, ever forget. Have to agree with my Nodame-watching pals: This episode is not only the best to air in this particular series, but also one of the most memorable to air in any of Nodame‘s three seasons. Great, great episode. Is it a coincidence that the quality of Nodame Cantabile Finale has shot toward the heavens now that the music has received more of a focus? Or course it isn’t. Chiaki and Rui put on a hell of a show along with the orchestra. Beautiful, energetic and a ton of fun — being part of the audience watching that performance must have been a hell of an experience. Fantastic way to (seemingly) cap Rui’s story — she knows nothing can come of her feelings for Chiaki, but she’s able to have that one special moment with him and truly come alive through her music. This is a weird episode for me, because I am not sure I can properly gauge Nodame’s mood throughout the episode. 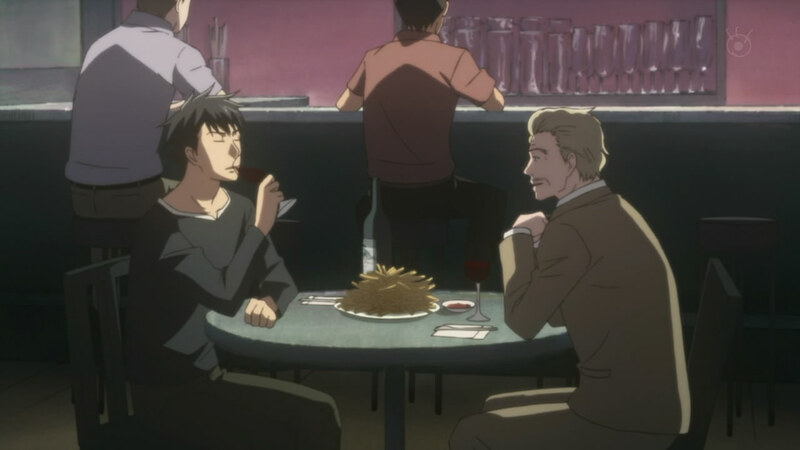 In the first part of the episode, Nodame is intense and focused, completely set on moving forward with her music, and it seems as if her hard work pays off when Auclair gives her an unofficial promotion — he calls her “Megumi” instead of “Bebe-chan.” Cue Nodame running around like a crazy woman, utterly elated that Auclair finally seems to be viewing her as an adult. I’d point out the irony of Nodame celebrating in such a childish way, but adults need to be kids every so often, I think, so what the hell. Let Nodame celebrate however she pleases. Definitely the most satisfying episode of the series so far — it’s one of the few since Nodame‘s first season ended where I believe that in terms of tone an execution it could fit fairly seamlessly into the first season. Probably not a coincidence that it also focuses almost exclusively on Nodame and Chiaki, with little bits of Tanya and Kuroki peppered here and there, with a dash of Li and Frank to top it off.